How We Roll, Aug. 30: how many people in our region can really go car-free? Happy Birthday, National Park Service: Have fun identifying these national parks as photographed from space by NASA. More pics here. Mt Saint Helens looks spectacular from directly above! Yosemite National Park in detail. Bruh can I get a ride though || photo 📷 @darcythedawginla #dogsinLA want to #GoMetro ? Let’s start with the above chart from the Census Bureau. It shows that about 13 percent of the households in the city of L.A. are car-free compared to the one-fifth number cited by LAist. The numbers also show — not surprisingly — that the larger the household, the more likely there will be a car or cars available. Parking in my neighborhood is a nightmare, as is the traffic, stress and expenses of driving. Going car-free started as a two week experiment to explore transit options, but then I realized it was far more livable than I thought. I went to Italy for 3 weeks on the money I saved. I feel very free. My expenses and stresses have gone way down, I get more exercise, I feel more like I live in a vibrant city and less stuck in a bubble. I just pretend I’m on vacation and exploring when I’m out, and that makes it fun and helps me see sides of the city I never would otherwise. It’s certainly admirable, but I remain reluctant to use this blog to push going car-free. The big reason is that most of us who do PR for Metro also own a car. Sure, we also ride transit frequently. But I don’t want to push a choice that many of us haven’t embraced. That would icky. Also, I’m reluctant to push a lifestyle that many people living in Metro’s jurisdiction (Los Angeles County) may find implausible or less than desirable. Let’s be real: there remain a lot of places in our county where not having a car can really hinder one’s mobility. That’s why we tend to focus here on gently suggesting to constituents to consider trying transit, walking and biking as alternatives to driving. The goal isn’t to get people to give up driving but maybe drive a little less and, therefore, contribute less to traffic congestion. I can’t emphasize the following point enough: I think it’s crucial that our region keeps building (and rebuilding) communities where it is increasingly possible for more people to go car-free if they so choose. In other words, places that have most of the amenities we rely upon, all easy to reach via foot, bike, bus or train. If we can do that, going car-free may not be the huge leap that many still find it to be. In a TPR interview in February, you said: “I have not been impressed by the new urban theory that very dense development through neighborhoods near bus stops, and so on, is going to reduce congestion. In fact, we’ve seen the opposite.” Is that assertion consistent with what you learned campaigning for NII? Absolutely. I think most people are realizing that it is another failed urban theory put together by academics that have zero proof that it works. The new mantra in every big city feels the same, essentially being: “We are all going to change the way we live.” I’m from Seattle, and I was there for a recent vacation. My Seattle friends and I were dreaming about a more intelligent way to go if we weren’t caught up in the urban planning religion that has gripped so many people. It’s comforting that a majority of residents are not gripped by this mantra. They do not buy into it. Folks, that’s an oversimplification of what many urban planners have said about density and transit. It’s a lot more nuanced, with other benefits oft-mentioned: building neighborhoods that aren’t overly-reliant on cars to get around; using density to attract and retain more desirable businesses; giving more people the chance to live closer to where they work, and; yes, supplying transit with the masses it needs to survive and thrive. Another point glossed over in the interview: not all new developments create equal traffic impacts. A large shopping mall with tons of parking may have lots of cars coming and going all day. Whereas a mostly residential building may see a trickle of cars coming and going over the same time span. 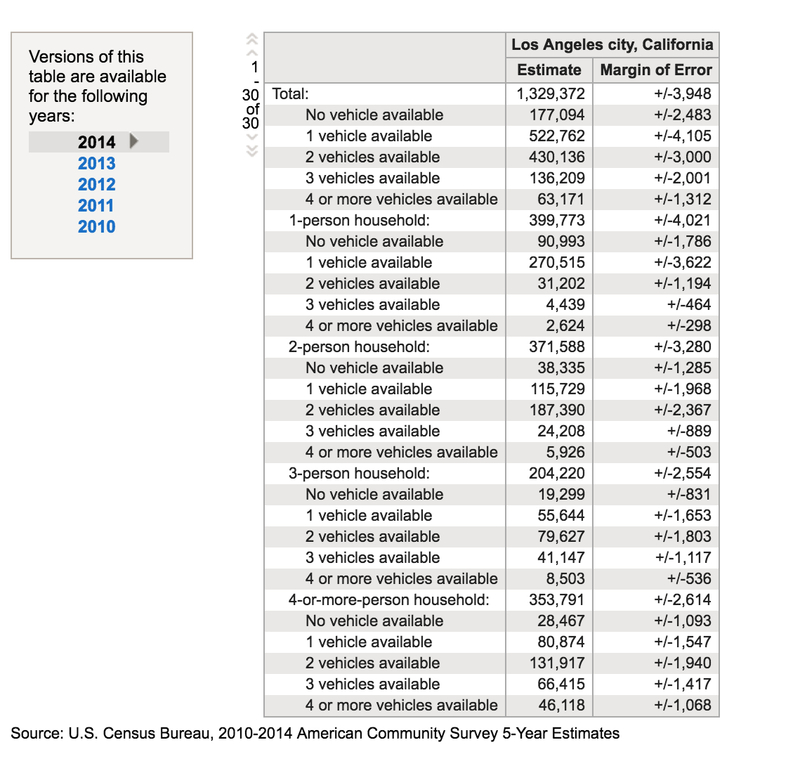 Is planning in the city of Los Angeles perfect? Of course not. Community zoning plans tend to be old, updating them is politically difficult and exemptions are frequently sought and granted. There’s no doubt that the scaling of new buildings is an important issue. But let’s not be fooled — shutting down new development in the city or only allowing small new buildings isn’t going to fix traffic. It will only lead to more sprawl, more people on the roads and more of the same kind of problems our region has been trying to fix. No one with real life experience and broad knowledge will undertake “carlessness” except under extreme dutress. I’m glad I don’t have a car. Metro’s done plenty of polling that shows I’m not alone. You may be resistant to progress, but the train is leaving you behind. I am happy for those who can go car free. But for someone like me, with multiple dependents at home to take care of, when their errands are my errands, on top of my own full time job ….. I just cannot do car-free, even if I live in an urban area. I’ll correct your statement for you. If one has never experienced “carlessness”, one can never claim to have “real life experience and broad knowledge”. I lived without a car in LA during my first two years of college and all of grad school (and that was before Lyft and Uber). If you’re in an urban place with good transit, like Koreatown or DTLA or Westwood, it’s a cinch. In places like that, having a car with you can be more trouble than it’s worth. I use a car more now, but that’s largely because work is somewhere far from good transit and I can park there for free. I really would like to see LA build more dense, mixed-use areas that put pedestrians first and cars second. Even as a driver my favorite places to visit are places where lots of people love to walk. No city has zero cars, it’s just a question of what our priorities are.